The city’s fashion set packed the tent today for the debut of our Reimagined Toronto Fashion Week. 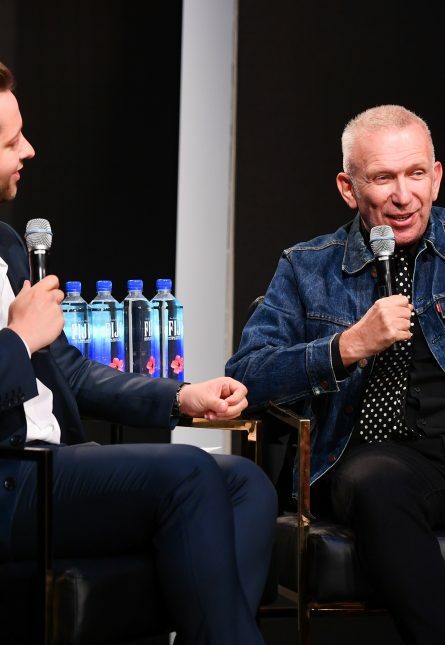 We kicked things off in style with our international guest of honour Jean Paul Gaultier In Conversation with special guest host Derek Blasberg. Mr. Gaultier is an internationally celebrated fashion designer, known for his gender-bending designs, which have influenced and inspired for over 40 years. Among his many accomplishments, the French haute couture designer created the costumes for Madonna’s iconic Blond Ambition tour. Mr. Blasberg is a fashion writer, Vanity Fair’s “Our Man on The Street” and host of “CNN Style” on CNN International. 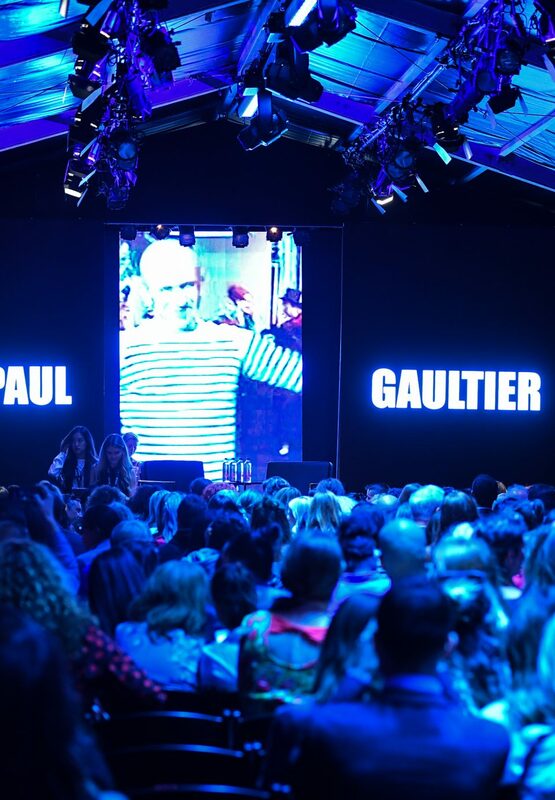 In the tent at Yorkville Village, in front of a rapt audience, our two esteemed guests had a lively discussion with Mr. Gaultier sharing everything from his humble beginnings to working closely with the Material Girl.